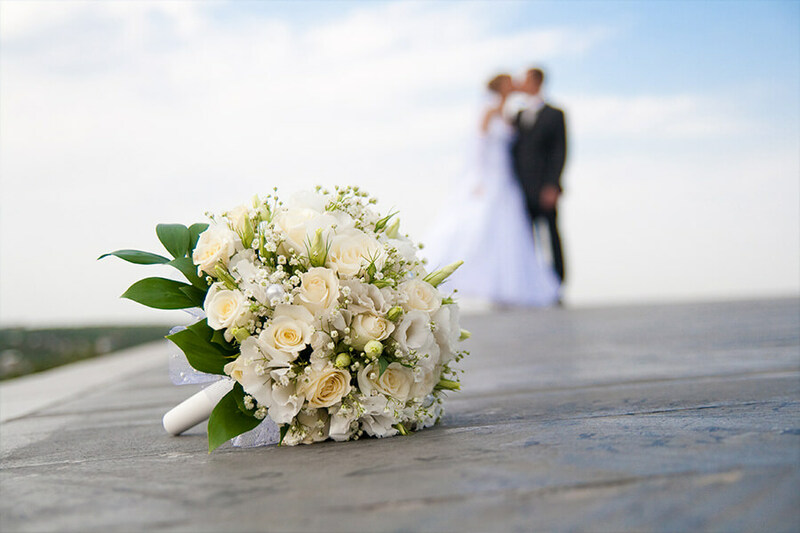 When organising a wedding, there are many important details that must be carefully planned and which can take up much of your time. 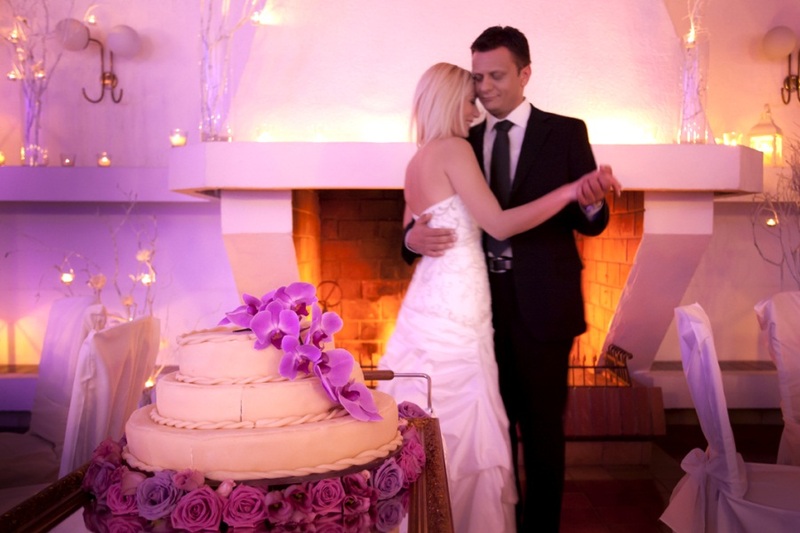 To help you organise a perfect wedding, Liburnia Riviera Hotels have prepared a series of additional services. We will be glad to help you with all the details concerning the organisation of the reception and additional activities. The bridal couple and their guests can book accommodation directly in the hotel in which the wedding reception takes place. You can choose from different types of room, and there is also a wedding suite for the newlyweds. Forget the stress of driving a car after the party – what could be nicer than being able to relax completely, knowing that there is a room waiting for you in the hotel? In consultation with the hotel's food and beverages department manager, you can choose a menu that best suits your wishes and the expectations of your guests. You can choose from a wide range of welcome drinks, aperitifs, cold buffets, snacks and canapés, and also exclusive meat, fish and vegetarian menus. The hotel's food and beverages manager will help you choose the wine and other drinks that go best with the dishes you choose. Catering can be organised in the hotel's restaurant or on the terrace, but also in various other locations outside the hotel in accordance with your preferences. The wedding cake is the highlight of each wedding dinner. We will help you choose the cake whose appearance, size and ingredients best suit your preferences. 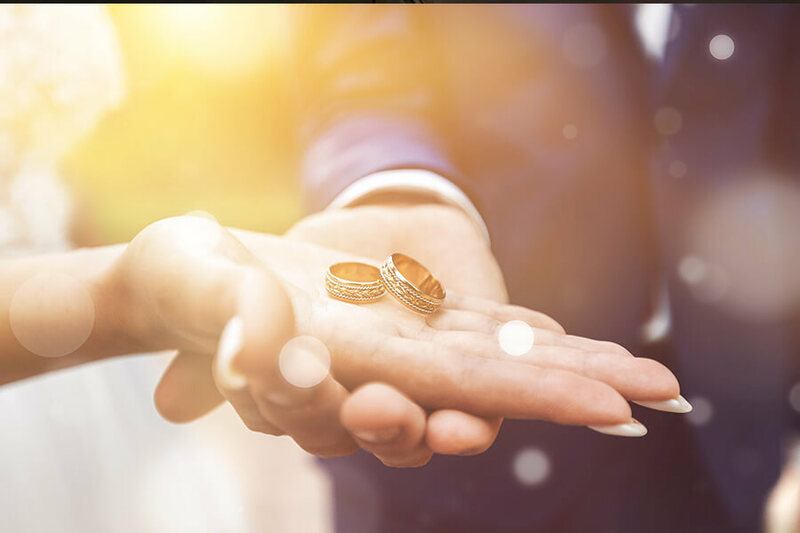 When organising a wedding, there are many important details that must be carefully planned, and which can take up much of your time. 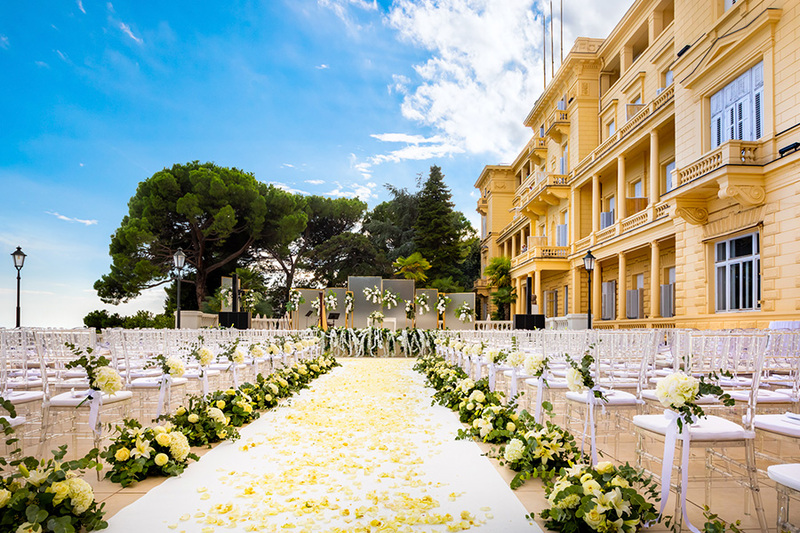 That's why we are here: we will help you with the decoration of the hall, the choice of flower arrangements, chair covers, sweets, buttonholes and all the other details that make for a perfect wedding. 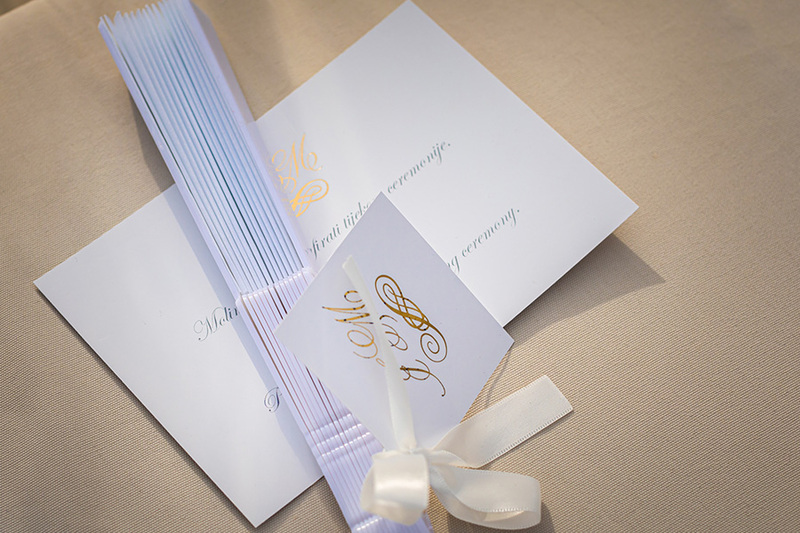 We shall also help you write invitations and thank-you letters, perfectly adapting their style and appearance to the other elements of the wedding. Photographs are probably the most important wedding souvenirs, therefore it is of the utmost importance that they are perfect – or even better! Our professional photographers will take care of all your wishes and make sure that your wedding photo album is just as you imagined it would be. Good music is essential for a good party. We will help you choose a band that will play just how you want. Whether it’s a solo performer or group, local music or international hits, the quality of the performance is guaranteed, and the party can last until the early hours of the morning. Do you want your wedding to be truly unique and unforgettable? Add something unusual, something that you do not see every day. Our experts will help you choose special lighting effects, a firework display and other details that will make your wedding really special. Before getting married, the bride and groom should have a good bachelor and bachelorette party. Liburnia Riviera Hotels have something special on offer here too. We can organise an unforgettable wellness party on the exclusive premises of our Five Elements spa centres. Alternatively, we can also let you have other premises in our properties depending on your wishes. 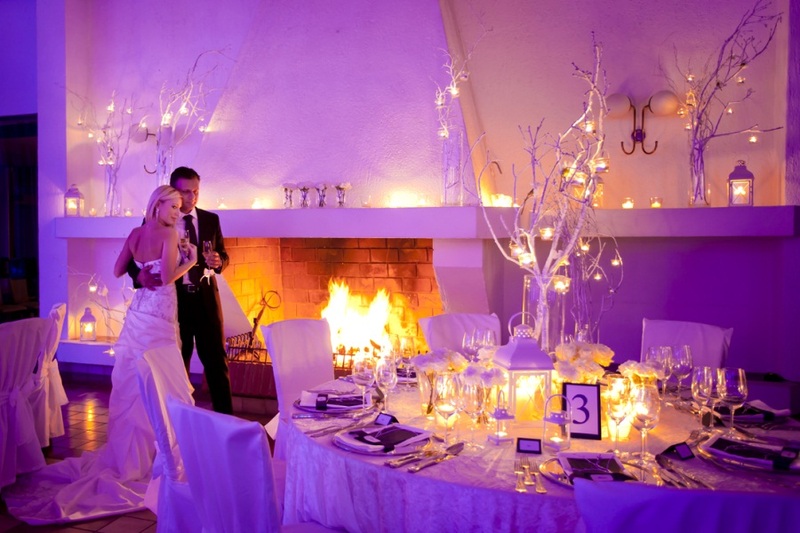 Celebrate your golden or silver anniversary on Opatija Riviera. Spend your wedding anniversary in luxurious ambient of Crystal or Golden hall, or some of our other hotels.